This Diwali, when I was wearing makeup, I realised how my vanity needed a liquid foundation and anything that produced a flawless base. I started jotting down where I was going wrong and realised that a primer was badly needed. 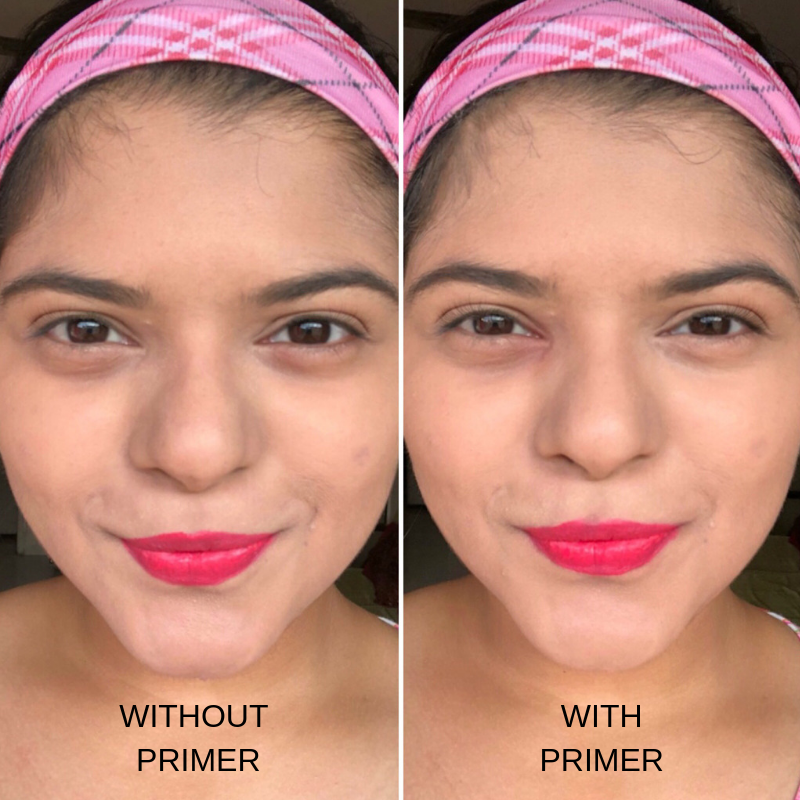 I had never used a primer but I had seen its flawless results on my friends who are makeup freaks. (A few of them wear makeup every day.) I always thought aloe vera gel or a suncreen + moisturiser layer would replace a primer but after trying on the Colorbar primer, I was stunned. I am someone who finds alternatives instead of buying an overly priced product. For instance, my brow gel acts as a contour colour, my white eyeshadow adds as a highlighter, etcetra. But then, this annoys me sometimes, especially when I want an absolutely flawless look as I'm going to meet fellow makeup lovers. It's completely all right if you go wrong here and there while on a date with your boyfriend or your girlfriends who don't wear full coverage makeup. But, when you're going on events or are dressed up for a friend's wedding, you wish to looked a little better than usual. So I finally did the splurge. I bought a primer, which went slightly above my budget. So is it worth it? Both the bottom and the cap of the bottle is made of plastic. The bottle complements the product perfectly. You have a thin nozzle and need to squeeze out the product. The primer is silicon based and has an opaque look. It is insanely soft and powdery to touch. All in all, I liked its packaging. You need to take the product on the back of your palm and apply on the areas with large pores or drier skin. You need to apply it on all the problematic areas and then lightly dab and spread with your fingers. The product is extremely soft to touch and to spread too. You would not even know where the product goes. It just spreads magically. Once you apply the primer on your face, the pores are reduced and the skin looks smoothened, especially if you see closely. On adding a layer of a good foundation, your face looks flawless. 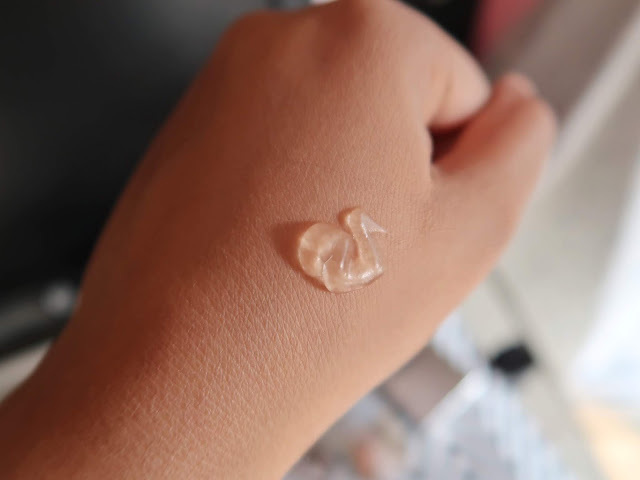 I advice you to wait for about ten minutes to see how the primer (or any product, for that matter) looks because by then, the makeup is absorbed and is settled down, thus giving a better look. If you think a primer is a waste of money, then think again. Please try a primer at least once and see the results for yourself. I've never had this flawless base and I am completely awed. For some reason, the skin above my lips looked white after a while, however, after this primer, the whiteness did not show up. Also, my smile lines always creased, but after applying this primer, they did not crease. In the above collage, I wanted to test the primer. So firstly, I wore foundation without primer and then with primer. Also, note that I did not put a sunscreen, a moisturiser or a compact powder. You can notice the difference in the two images. The under the eyes area is darker in the first image. The skin looks much smoother in the second. Also, can you see a spot on my left cheek? In the first image, I had applied about three to four layers of foundation on that spot to hide it, but in the second image, I had applied the foundation just once. 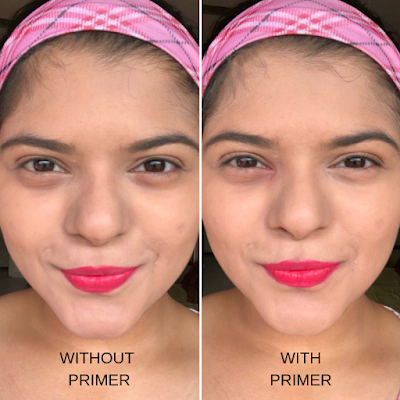 So we can say that the primer helps the product to sit and brightens up the makeup. The skin also glows better with the primer. The texture of my skin is completely smoothened out and the roughness is gone.